As we arrive in June and as the rains continue to fall, we have to take a look at everything we have been able to accomplish in Bella Maria thus far. Our goal of having 3,000 bricks made for the community center has been surpassed, so we think. This number may seem arbitrary, however it has been chosen because if we are to reach that goal, it will allow for a cushion in case some blocks are either misshapen, or damaged in the drying process. This is one of the things we hope to find out today, did we make it? After an hour and a half in the trucks, driving through one of the most beautiful landscapes it is the hot topic, “Do we have enough bricks?”. Of course we have all been counting in our heads for the past three weeks and all have a different total sum of bricks in mind, the variable which determines our fate is something that has been looming over our heads for days, weeks now, it is the rain. 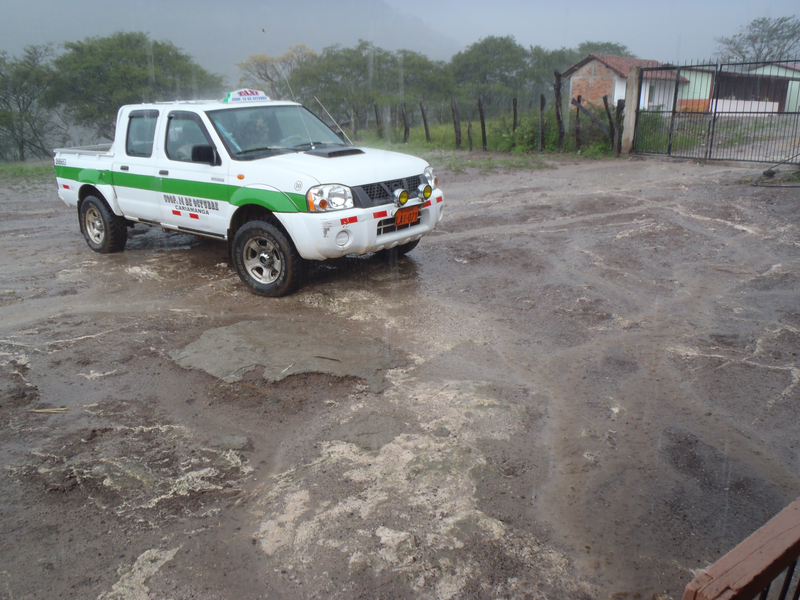 The rainy season which is normally over in April, has continued through May and during the entire duration of the “Service Learning” trip during the second week of May. As we arrive in the community of Bella Maria, we see the community members hard at work. 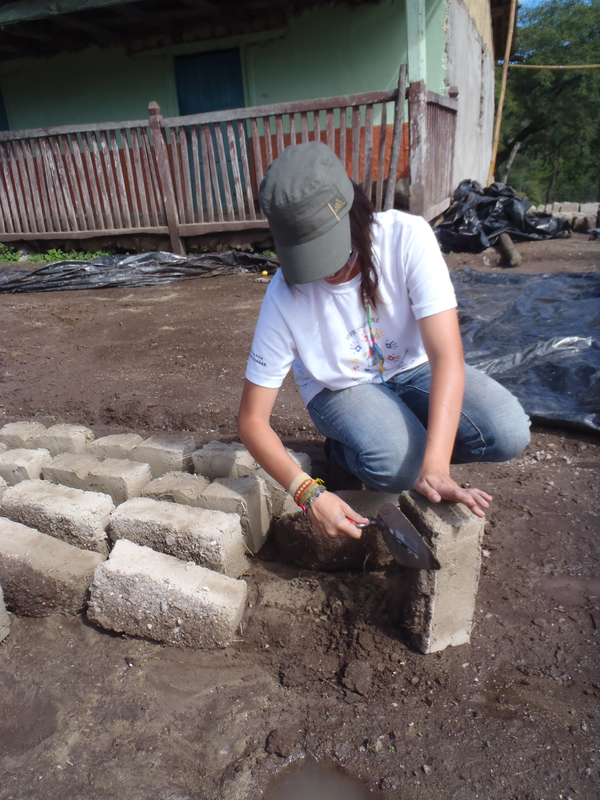 They have begun the arduous process of cleaning, shaping, and moving the adobe bricks. This a very important process for many reasons. For one, the blocks need to be consistent in the thickness of each block to ensure the quality and the stability of the structure. Another is when we move the blocks from one area to another to make space, we are able to see how many of the blocks are damaged, or misshapen. Also, cleaning off the bricks of any residual mud, dirt or any other material that could hinder the adhesion process later on, or could make it difficult when trying to make each layer of bricks level. 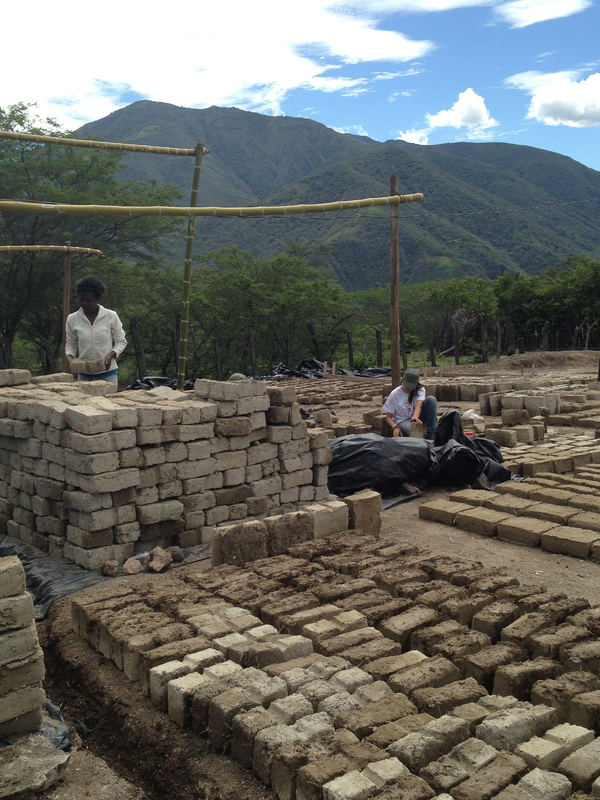 As a group we all began to clean, shape and stack the bricks in new locations from where they were previously to aid in the drying process, and analyze whether the bricks were dry, still a little wet, or if they rain had not allowed them to dry hardly at all. We also dug new trenches, and cleaned out and made the existing trenches bigger and deeper to help keep the bricks as dry as possible. During this process we were able to get the dryer bricks to be stacked and covered securely, as well as move the bricks that were in spots that were prone to heavy rain and pooling. This was great in terms of seeing tangibly where we are in the brick making process. 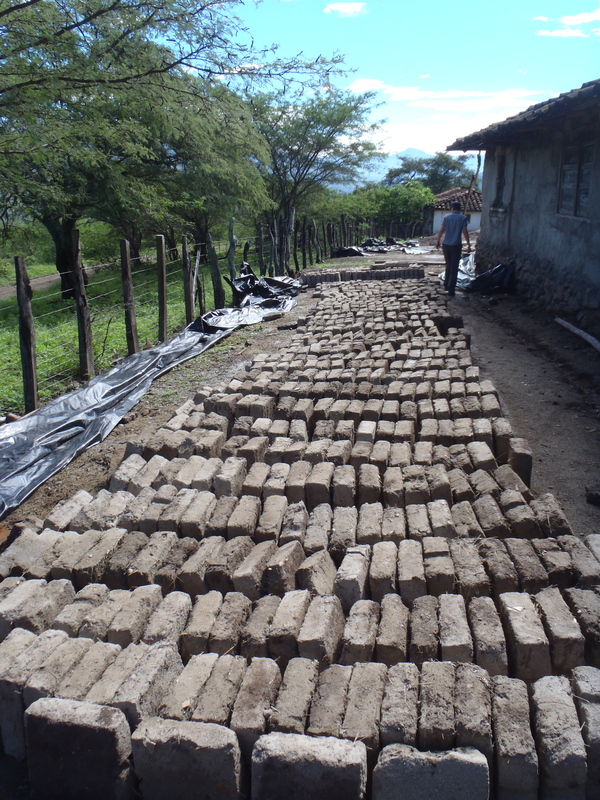 We were able to establish that not as many bricks were damaged by the rains, and we had achieved our goal to have 3,000 bricks and more than the needed 2,600 working bricks! Of course all this work has a timeline these days, when the rains seem inevitable. So of course, as we work we keep an eye to the sky to make sure that we can get all the bricks covered before the rains hit and potentially cause damage to any bricks. Of course, the rains arrived around the time we had expected, and we were able to get everything covered in time. Which, unfortunately significantly shortens our works days when the rains arrive early, or even when you expect them to in the early afternoons. Hopefully soon the rains stop for a little while and allow the bricks to dry, as well as giving the community of Bella Maria and us time to construct the community center. However, for now, it’s time to head back up to the top of the mountain and prepare ourselves for another day. Thankfully Don Victor has a vehicle capable of making it through the mountainous road in all weather conditions. Charlie Fulks is starting the first year of his master’s program in the International Development Studies program at Ohio University. 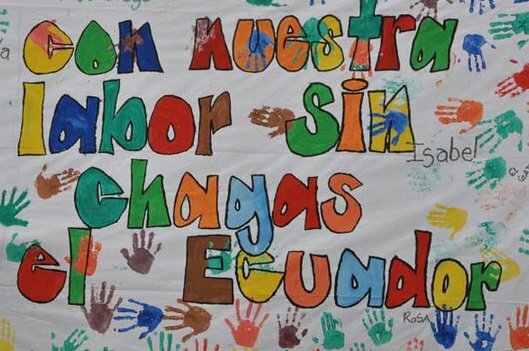 This is his first trip to Ecuador with the Healthy Living Initiative and the Tropical Disease Institute.